“The Art and The Way” brings karate history to life. Correspondence from readers – The Art and the Way. The Art and the Way is a story of tradition and heritage and how those steadfast values are under assault in today’s society. The book opens 400 years ago in the Ryu Kyu islands, where we meet Peiching, a lowly commoner. Through nothing but the instinct to survive, Peiching uses an oar found lying on the beach and not some store-bought system of defense as might be available today, to successfully defend himself against the swords of a group of samurai. As Hunt successfully does throughout the book, the reader is whisked into the scene and can actually feel Peiching’s terror while he contemplates what he thought would be his inevitable death. Fast forward to present day America where we meet David Cody, a young martial artist with family roots in Japan. After suffering a humiliating defeat in a challenge kumite match at a local tournament, David consults with his seasoned instructor and decides to rediscover his roots in Japan. David moves in with his grandfather, who is the master of a very old, but unassuming dojo outside of Tokyo. David’s family heritage is the martial arts and we soon learn that David is a descendant of Peiching. At his grandfather’s dojo, David discovers an ancient book known as the Bubishi. The Bubishi is an accounting of David’s family dating back to the days of Peiching, and passed from one generation to the next, each adding the stories of their respective times. David begins to secretly read the book and Hunt, brilliantly devoting alternate chapters to centuries gone by, allows us to join David on his journey through his past. While in Japan, David encounters many difficulties and the story is interposed with mystery, intrigue and, of course, love interest. But the true brilliance of this book is the manner which Hunt uses an artifact such as the Bubishi to connect the past with the present, and guide the reader through an anecdotal history of how the martial arts, and the true principles upon which they are based, developed. Through his study of the Bubishi and his experiences while in Japan, David reaches an enlightenment and realizes that the purpose of martial arts is not to win the next challenge match or impress others. Rather, the purpose of training in the martial arts is to improve oneself from within. Hunt’s historical research shines through the pages and his ability to tell a story with descriptive detail make this book a treasure. 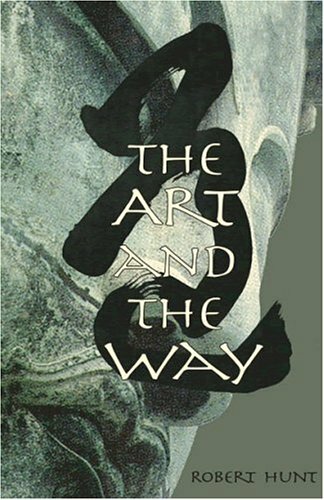 Simply stated, The Art and the Way is 282 pages of enjoyable reading. The reader will finish the book with a much improved understanding of the importance and meaning of martial arts training, and will have received an interesting history lesson on the way, I highly recommend this book for all martial artists or not. I eagerly await Robert Hunt’s next book. Doug Stein is head instructor at South Florida Shotokan in Miami, Florida and is the author of the much acclaimed book – Karate: Scattered Reflections of a Traditional Art in a Modern Society.